Brooke Marquez hits the ball. Much like the rest of Northwestern’s offense this weekend, the sophomore infielder struggled at the plate, only notching 1 hit in 10 at-bats. 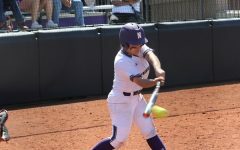 In the end, Northwestern’s bats just weren’t enough, as the Wildcats were bounced from the regional round of the NCAA Tournament by Oklahoma State this weekend. The tournament started positively for the Cats (27-28, 15-8 Big Ten) who used their trademark scrappiness to upend Oklahoma State (31-25, 6-11 Big XII) on Friday afternoon. The pitching duo of seniors Kristen Wood and Amy Letourneau was excellent, holding the potent Cowgirl offense to only 4 hits and 1 run. 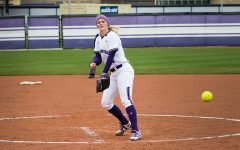 NU’s stellar pitching kept the team in Friday’s game until it was able put together a rally in the top of the seventh inning. 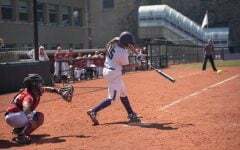 Senior outfielder Fran Strub scored from third base after sophomore outfielder Sabrina Rabin used her speed to leg out a dribbler out in front of home plate. The win pitted the Cats against No. 15 Georgia (42-17, 12-12 Southeastern) for a chance to advance to the Regional final. Unlike the pitching-weak Cowgirls, the Bulldogs were strong in every aspect of the game. Georgia ranked fourth in the nation in batting average hitting .354 on the year and had a lean team ERA of 2.31. NU’s pitching staff was once again solid, holding a team that averages about 7 runs a game, to only 5. The issue was that the Cats offense only eked out two hits in the game. Bulldogs pitcher Chelsea Wilkinson dominated NU, striking out nine in a complete game. A Letourneau 2-run home run in the bottom of the seventh accounted for all of the Cats’ runs. With the loss, NU was forced to take on Oklahoma State again in an elimination game late Saturday. Letourneau, who pitched 7.2 innings in relief of freshman hurler Kenzie Ellis, once again was able to keep the Cowgirls offense in check, striking out seven and allowing 4 hits. The turning point, however, was a crucial mistake by the Cats. An error by senior shortstop Andrea Filler allowed the winning run to score in the top of the ninth inning. “We put ourselves in a position to win, but they executed down the stretch,” coach Kate Drohan said. Although the error was fatal, the Cats’ main ailment was its lack of hitting. 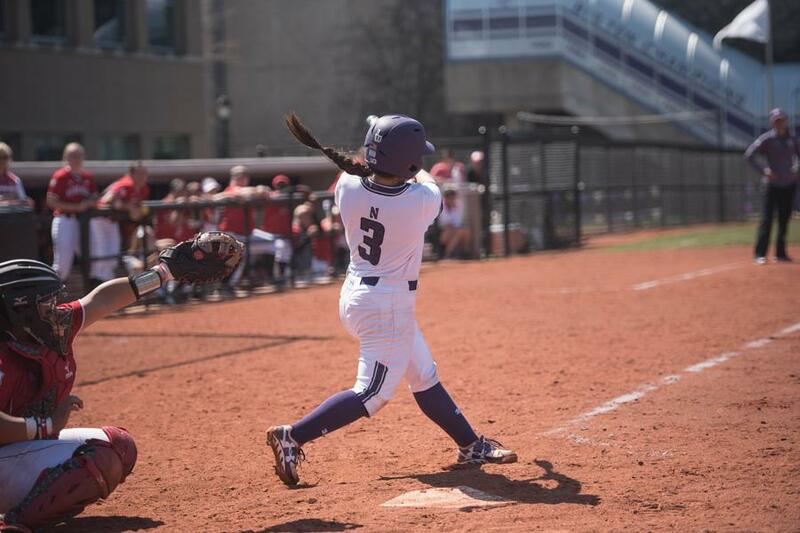 In three games, NU only scored 6 runs while compiling 16 hits in the process. Of those 16 hits, only two went for extra bases. Despite the shortcomings at the plate, Drohan said she was still pleased at how her team played.